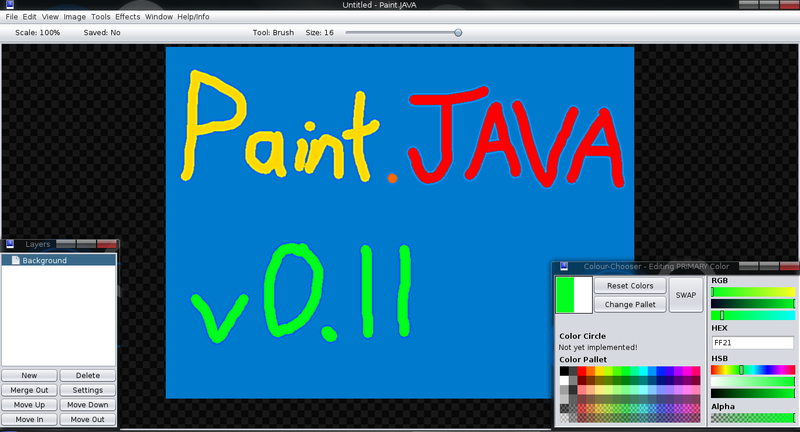 Paint.JAVA v1.0 has been postponed, because I'm going to make sure it's complete before it's first full release. That means selection and everything. Compacted the menus. If the width of the window is too small, it may get buggy, but there's not much that can be done about that yet. Global history (As opposed to v0.9 where the history was layer-specific). Also added layer operations to the undo/redo-able functions. You could go the the first post for the links, but I'll post them here in case you're lazy. Are you using external librarys for this? Nope, I believe he uses just Java2D. You are slowly but surely approaching a viable solution to my graphical needs! Wat? Ih cahn't heahr u ovur ma FREEDOM! L1NU% M4573R R4C3 720! Feel free to contribute if you want to. We are especially in need of some decent icons if that is your thing. This is awesome! 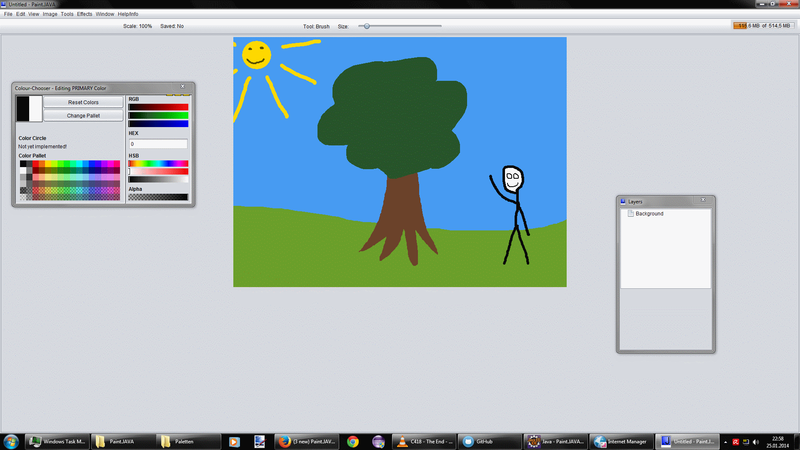 Recently switched to Xubuntu and needed an easy to use paint program. Not only was is it easy to learn and use, you even provide a grid maker! Absolutely essential when making spritesheets, and I thank you for that. The Batch Icon set has a lot of wonderful icons, some of which may relate to your project. If the above is implemented, I'll probably completely switch from using GIMP. I would love to go and implement (all?) these features, but I can't update my fork on my local repository. Should be easy to implement, since its just a set of buttons (Not JButton's) with colors in them, and a action that copies the color depending on the mouse-button on click. What is that? Care to explain? Is that something like a thing that records what colours you selected and also let's you select colors from the history trough a small window with a list? That is on the issue list, and I think heroesgrave wanted to implement that. To be frankly, it is really easy to do something like that. Its just making a small window, setting its layout to GridLayout(2,0), then adding buttons that change your current tool to it. I messed up my repository COMPLETELY. Recreated my fork. Now I am actually able to push to the dev branch! I hope it works as expected now, and HeroesGrave doesn't have to rip my head off anymore for constantly pushing my commits to the master-branch! Now I am a bit more happy. This cost me 7 hours of work in total. I hate Swing for being up and utterly too complex. But hey: Now you got a REAL colour-chooser! Maybe some text input(/output) boxes behind the RGB selection bars? Most color chooser do it that way. My only suggestion: Allow the user to input RGBA values directly, just like you're doing with hexadecimal. I don't know how many times I've had to manually input colors! @opiop: that! @Longor: Forgot to say: good job! To hell with it. I am not going to rework the layout now, because making the layout was already one hell of a giant PITA. - Added the possibility to use alternate color-pallet's in the color-chooser. 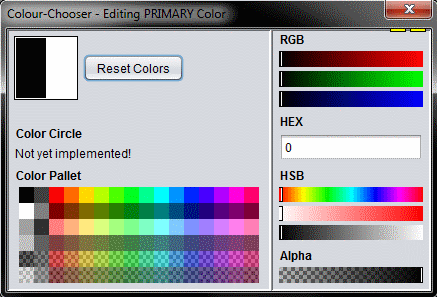 Note that color-pallet files are defined exactly like they are in Paint.NET. - Added a 'DARK' canvas option. Looks fancy. HeroesGrave just needs to merge my dev-branch into his (trough pull-request), then publish a new version. This is going to be... interesting. - Added 'Fill' option to all the tools that can fill. 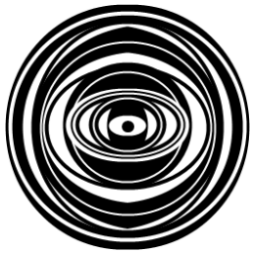 - Added Antialiasing to the Circle and Line tools. - Fixed Simplex Noise Effect. Looks much better now. In fact, it's enough for me to bump the version up to v0.11. For anyone wanting to contribute some art, we need a new application icon. Preferably it should look decent at the sizes of both 64x64 and 16x16. If you don't mind, I've modified it to look native on Mac OSX. Not perfect, but isn't it nice? Why not JavaFX instead of swing ? And why not framework native color-picker ? The original Java color-picker was too... bulky. 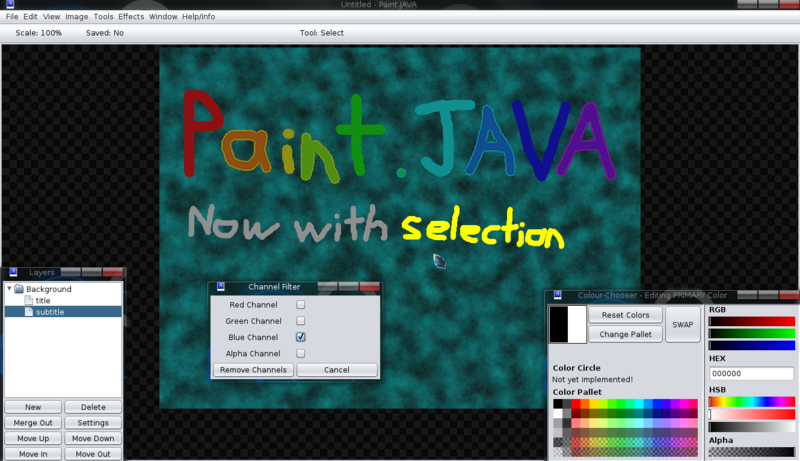 Paint.JAVA needed a color-picker that was small, and simple (both in code and user-interface). The original Java color-picker is just too bloated in my opinion. This will sound stupid but... what is JavaFX? Only heard the name so far. - nice scene graph based 2D graphics with all kinds of effects and transforms (in the soon to be released JavaFX 3.0 there are proper 3D graphics. I assume that in 4.0 there'll be 4d graphics). But I've never actually used these so my judgement is purely based on what I've heard from others. - CSS styling of all components. - A SceneBuilder (that's its name but it's just a GGUI designer and yes both those Gs are intentional) which puts in GUI layouts in files which a JavaFX application can then load up so you don't even need full IDE integration. - Automatically builds the application as .jar, .jnlp and I think something else that I can't remember. Which is nice. - Load of really useful stuff for developers (and this is actually what really sells it for me) like properties and bindings. Which are just so useful and really well done. I think some threads and collections stuff too. - A generally quite nice API (in my opinion). Maybe that's because it is so close to swing (API wise only) which was the first one I learnt. - I'm probably missing some stuff. Also I'm not saying that I think you should convert the whole thing to JavaFX. Just telling you what it is. Who knows? Maybe after 1.0 I'll look into using JavaFX. I read up on it a while ago, but never really thought of using it for this project. 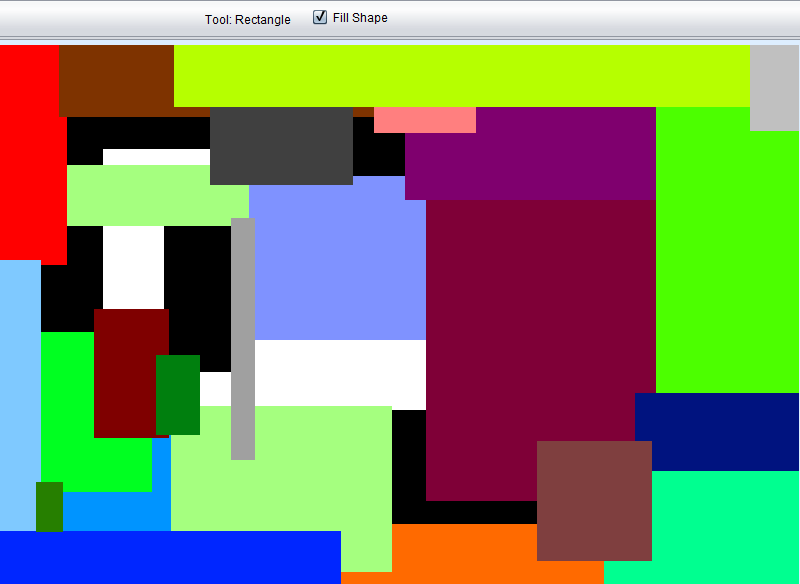 Yep, javafx is very nice. Can't wait it to be THE default UI framework. 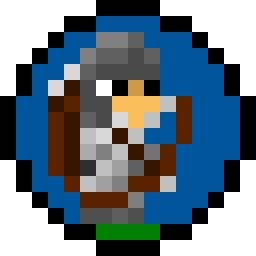 I think I am going to write a special image-op class, which allows to do effects on pixels, while taking the pixels around the pixel itself into account. The class will probably have a inner option defining if pixel-access get's 'Bordered', 'Clamped' or 'Wrapped'. Then I can proceed and make some better Blur/Sharpen/Fresnel/Edge-filters. Also, I would love to get image-previews working again, but that will require ALL layer-nodes to be able to show their own preview's, and it will also require all tools and effects to run per 'Selected Layer', so a 'getSelectedLayerNode()'-method is needed. Has a bunch of image filters and what not as well as the editor which I linked. 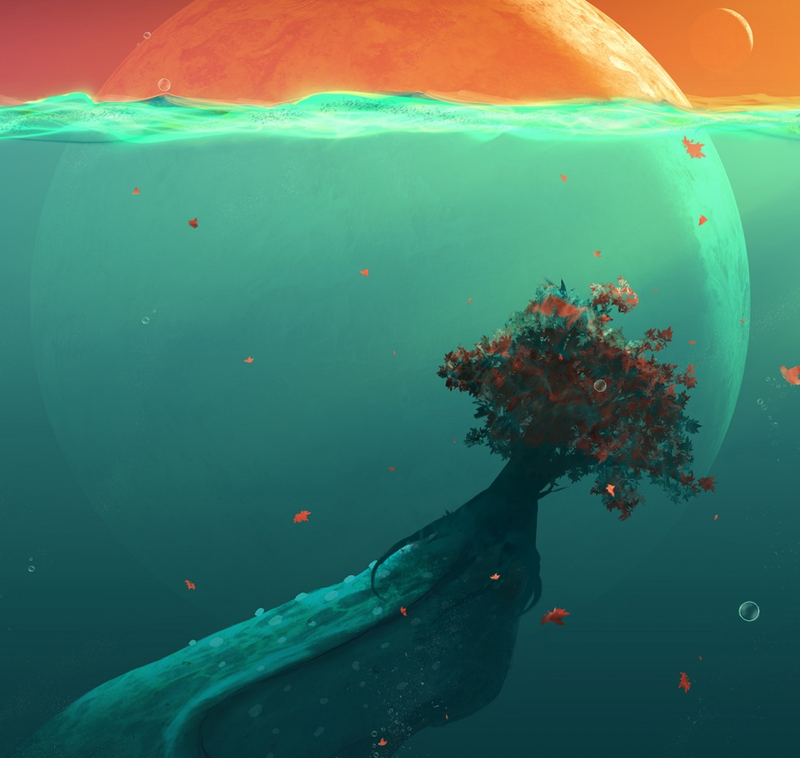 There is even something on particles. And we have v0.12 Beta. This is going on a bit longer than I first thought. Before, I thought that selection would be the last hurdle for 1.0, but there's still a bit to go, mainly in the area of the UI. Selection! Yay! S to use the select tool. M to use the move tool. There are still a few functions missing (adding to/removing from the selection, copy and paste etc.) but they will be added later. The current system is good enough for lots of tasks. Layered image format. Okay, I'll admit it's not very good. LBIN for uncompressed, ZLBIN for compressed. Both take about the same time to load, but ZLBIN is way smaller. This is the stage where I need lots of feedback to get it ready for v1.0. Bugs, annoyances, requests (if we don't do them now, we might do them later), post them, PM me, or open an issue on Github.